Updated Tuesday January 22, 2019 by Bret Lavey. 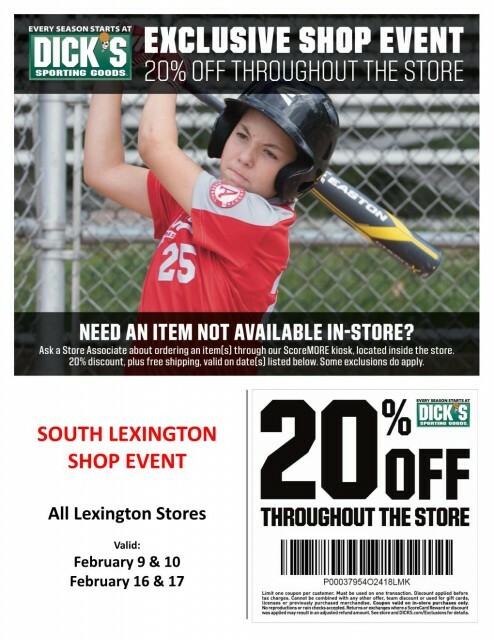 Show the attached coupon on these days to receive 20% at any Dicks Sporting Goods in Lexington. Come out and get your gear for the Spring season!